Winter is coming. Seriously. Which means a whole different bunch of gear for when running outdoors. After all, you don’t want to get too cold, right? We’ve taken a look at some of the best running gear and accessories for winter runs. We’ve focused on warmth because, well, that’s the big issue when out in the cold. Cold air hitting your lungs can be detrimental to your health, plus the cold can also negatively impact your limbs and muscles. It’s important to be suitably dressed for cold weather. Not everyone feels the cold the same though. We all have different ideas of what feels right and what feels freezing cold. Also, different climates mean different levels of what constitutes ‘cold’, so we’ve taken a layer by layer approach to things. See, wearing multiple layers keeps you warmer than wearing just one or two really thick items of clothing. It also means that if you start to get too warm (or the weather improves), you can remove a layer and carry on. Here’s a look at some of the best clothing solutions for keeping you warm through your winter runs, as well as a few other useful accessories. 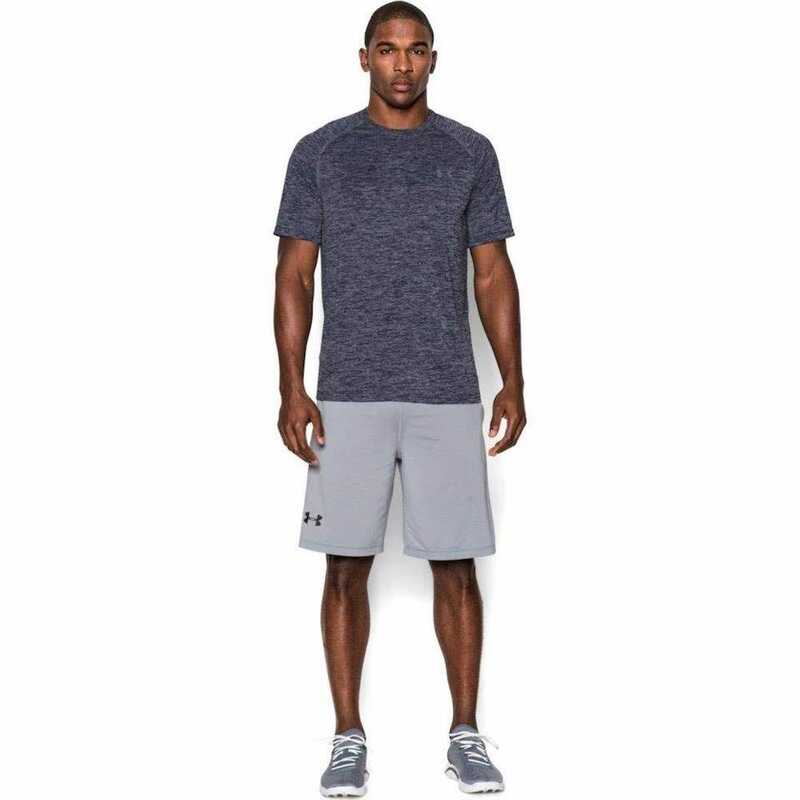 You probably already own some good t-shirts for wearing when jogging or running but if not, buy an Under Armour Men’s Tech Short Sleeve T-Shirt. It’s made from 100% polyester and includes very fancy technology known as a Moisture Transport System. That basically means it wicks sweat away from your skin and it dries fast. There’s anti-odor technology too so your shirt won’t stink at the end of a run. Whatever the weather, you should be wearing this. Ok, you’re probably going to need to wear another layer underneath the NIKE Men’s Athletic Track Tight Pants but for now — this is the most basic pair of pants you need to wear while out. Made from a polyester blend, they utilize Nike’s Dri-FIT technology to wick sweat away from your body so you feel comfortable and far from wet and sweaty at the end of your run. In addition, it has zippered side seam pockets plus a drop-in waistband pocket so it’s pretty easy to store things. A zip hem helps with slipping them on or off over your shoes too. It’s the little things that matter after all. Make sure you buy a size larger than usual as you need to put an extra layer on underneath during the extra cold days. So, it’s a lot colder than it was earlier in the year. What do you do? 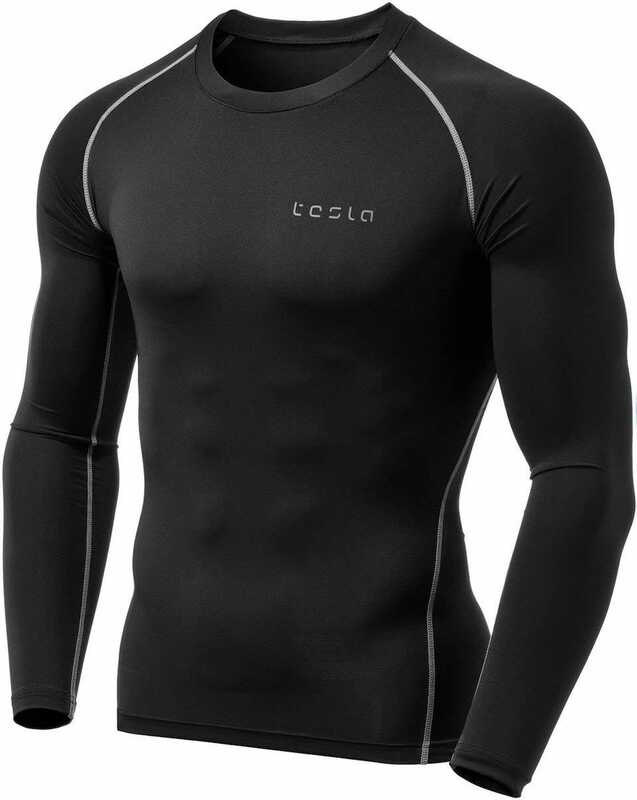 Ok, you still wear your regular t-shirt but underneath that, buy a Tesla Men’s Thermal Wintergear Compression Baselayer Long Sleeve Top and wear that. It’s designed to keep you snug and warm by fitting closely to your body. It still has room for air circulation, as well as wicking sweat away from your body, but ultimately, it’s another line of defense against the cold. It might look quite thin but it’s deceptively cozy. It’s just what you need when things get cold outside. Like with the tops you wear, you need an extra layer for your pants too. 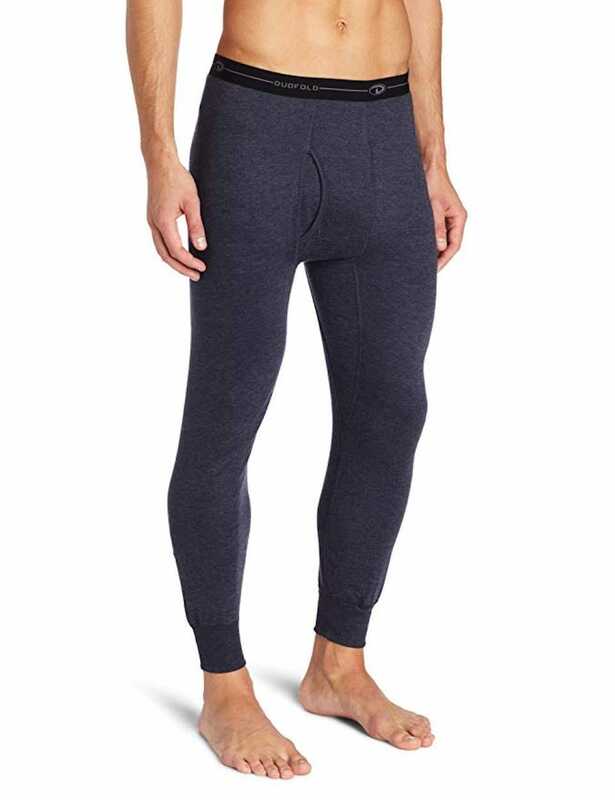 The Duofold Men’s Mid-Weight Wicking Thermal Pants are a great idea as they’re a cozy fit that’s part cotton and part polyester. They have a moisture wicking waistband while the rest of the pants keep you nice and warm, regardless of the temperature outside. They’re a snug fit but you’ll soon get used to it. 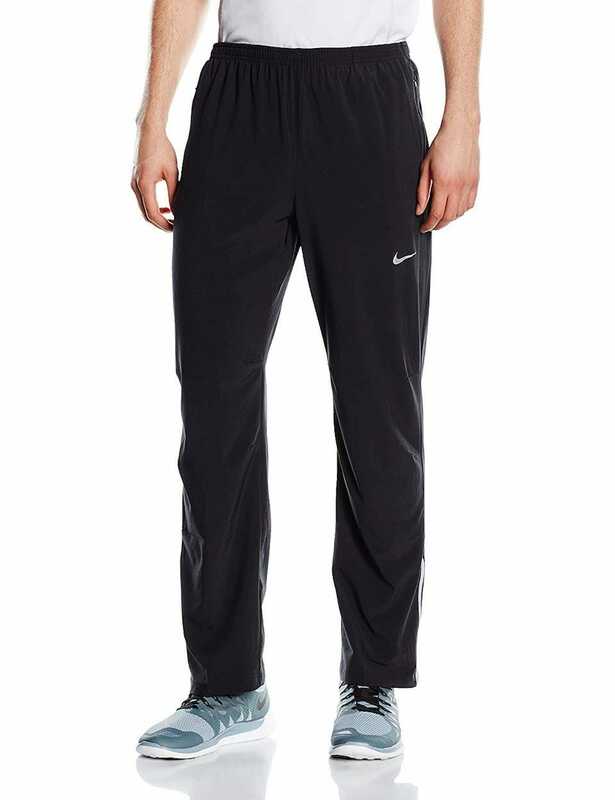 Wear the Nike track pants over them, and you have an extra layer of protection against the elements. Did it get even colder? Yup, winter will do that. 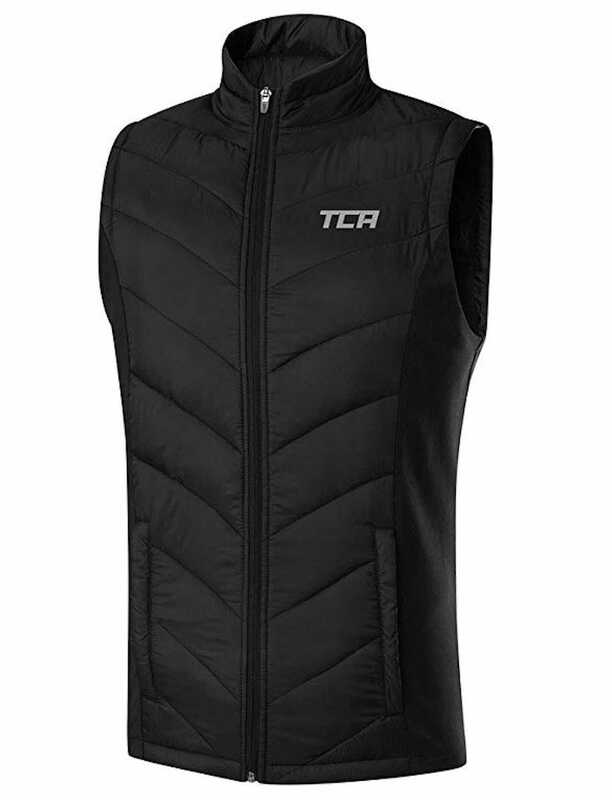 Buy the TCA Men’s Excel Runner Thermal Lightweight Running Vest/Bodywarmer with Zip Pockets and you should feel warm enough to run though. It’s a bodywarmer that you wear over your regular top layers to give you some extra protection against the elements. It has padded insulation on the front with a breathable back that means you don’t sweat too much. Zipped pockets on either side give you somewhere secure to store items like your phone or wallet. There’s also a reflective hi-vis icon to provide you with some extra visibility when it matters. Running while wearing a coat or jacket isn’t ideal so we won’t blame you if you favor treadmill running on those days. 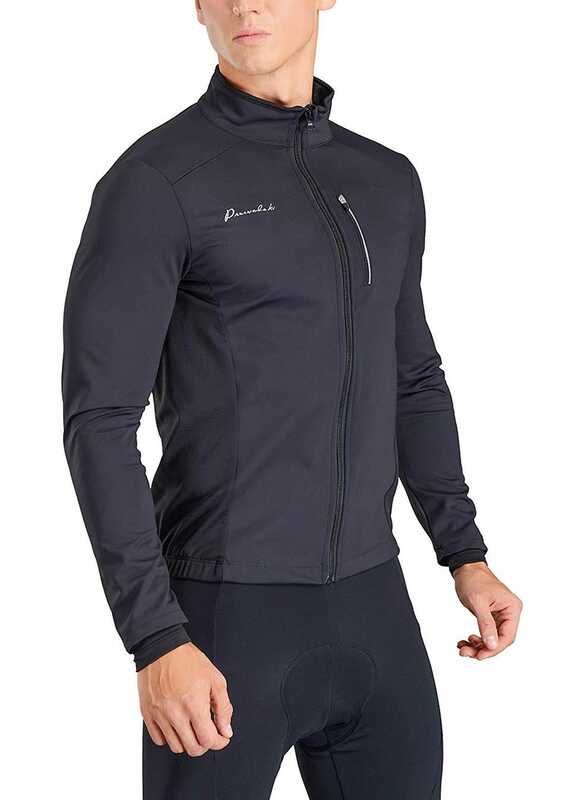 However, if you do want to hit the roads then the Przewalski Men’s Winter Thermal Cycling Bike Jacket is a pretty good jacket for keeping you warm (but not too warm) while you run. It’s waterproof with a brushed fleece inner liner to keep you cozy as you run. There’s breathable fabric too, maintaining that weird ability to keep you warm yet sweat free. A reflective stripe means you can be spotted while out at night too. Still, it’s a relatively lightweight jacket so we don’t recommend it during the coldest days, but it is a good middle ground when keen to head outside. If you do buy it, make sure you buy a size or two bigger than usual — it needs to fit over your existing layers. Cold hands are the worst when running. They can soon end up painful and sore, plus the cold is damaging to one’s skin. If you buy the TrailHeads Running Gloves With Touchscreen Fingers, your hands will be protected and you’re still able to use your smartphone as and when needed. 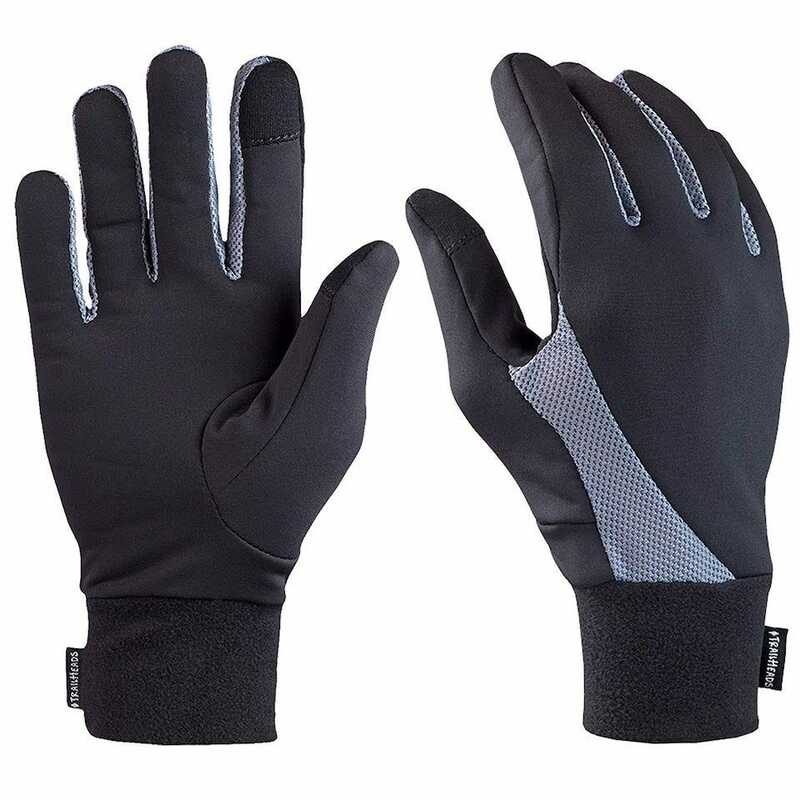 The gloves are made from a mixture of nylon, polyester, and spandex so your hands are kept warm while sweat is wicked away from your skin. Conductive fabric is used on the thumb and forefinger so you can easily tap touchscreens without any issues. Admittedly, these gloves aren’t designed for the coldest of winter days, but if you live somewhere that the temperatures are cold but comparatively mild, they’re perfect. Breathing in cold air isn’t great for you. 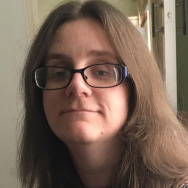 It’s potentially dangerous if you’re asthmatic but for anyone, it’s liable to slow you down and make you feel less than great. 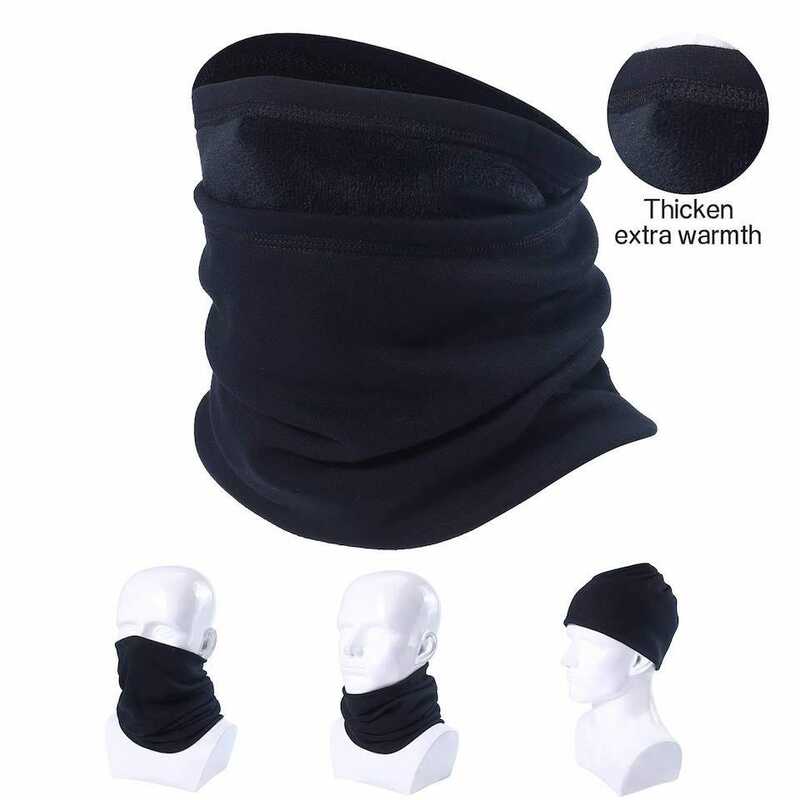 Buy a mask/neckwarmer combo like the SUNMECI Neck Gaiter Warmer Windproof Mask, and you can go some way to avoiding inhaling too much cold air, along with any pollutants along the way. It’s made from soft material that won’t scratch your neck or face, so you’re good to wear it for extended periods of time. It keeps your extremities suitably warm too. Don’t be surprised if you find yourself wearing it just when you’re walking around, let alone running. Much of our heat leaves our body through the top of our heads. Buy a beanie hat and that won’t happen while you run. 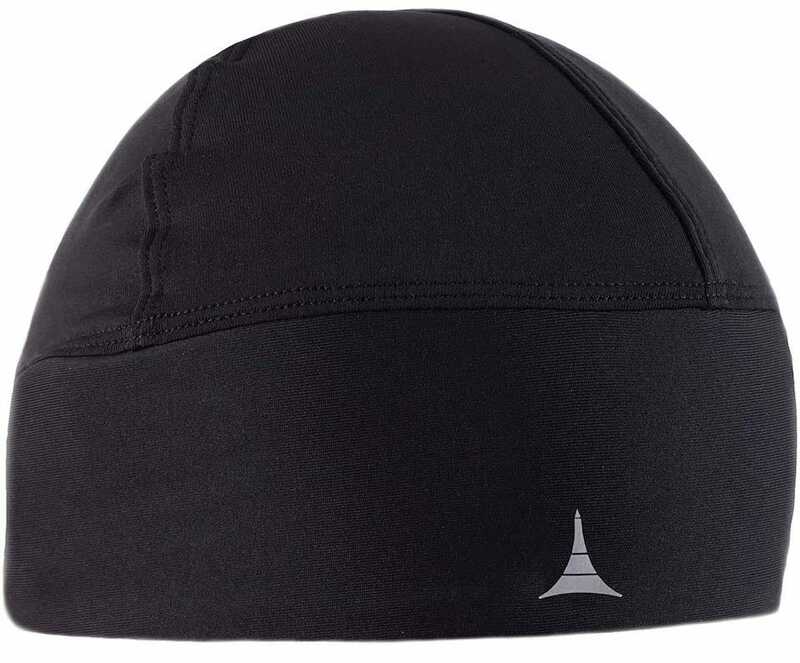 The French Fitness Revolution Skull Cap is lightweight and made from a comfortable fabric blend that stretches around any size head. You can even wear it under a helmet if need be. It’s a very small price to pay for something that could make a massive difference when keeping you warm while out and about. It looks quite subtle and stylish too. 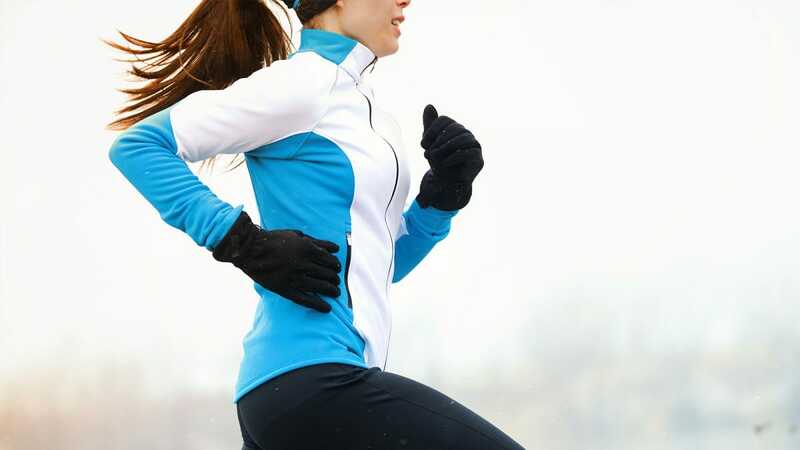 Winter means darker mornings and nights — the exact time you’re liable to go for a run. Buy the Foxelli Headlamp Flashlight and you can still see where you’re going, even if you’re in more rural areas. It offers 165 lumens, powered by 3 AAA batteries. It’s also waterproof and lightweight so you won’t be bogged down by it, nor do you have to worry if it rains. If you live in a bustling city, this isn’t an essential item but the moment you head out of town, you’ll realize how useful it is. 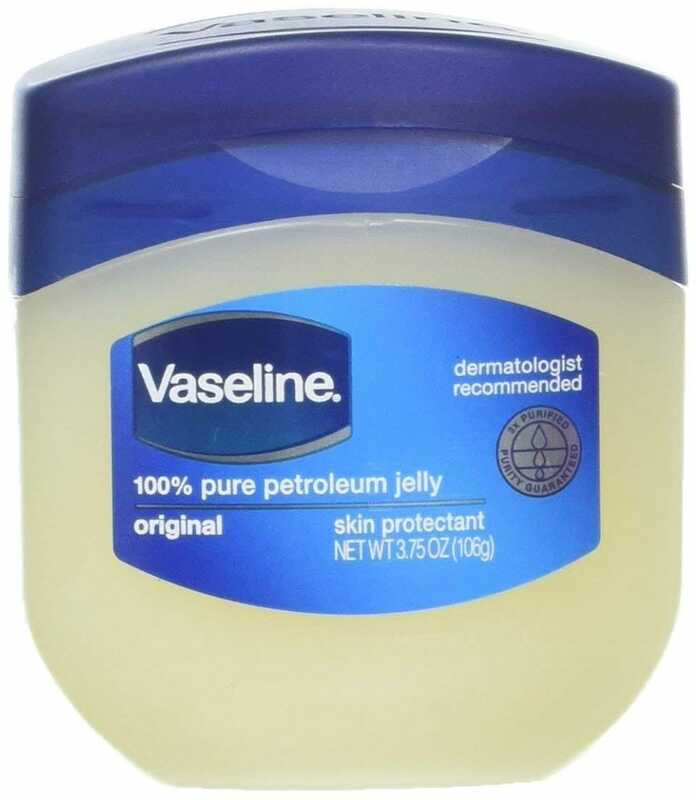 Ok, so Vaseline sounds woefully low tech but it’s actually one of the best things to use to protect yourself from the elements. Simply place some on your cheeks, nose, or other areas exposed to the cold, and it does an awesome job at taking the edge off things. It’s an old, old, runner’s trick that’s as useful today as it was decades ago. It’s not possible to cover every part of your body with clothing to keep warm (at least not if you still want to be able to run) so this is a great way of helping out the areas that need some extra cover. It’s cheap too.